Have you ever heard of such a thing as “Natural Capital”? It is quite real and big businesses are including their share of the wealth found in natural ecosystems into their financial spreadsheet. The survival of businesses rests upon responding to the demands of their consumers for quality products and services. Nellemann and Cororan stated in A Rapid Response Assessment report that the value of natural products and services is around $72 trillion annually. Tapping into your share of riches gleaned from this mysterious treasure chest leads you on a path to sustainability and supports your survival. Sustainable simply means having the resources that support present and future generations. Many of our resources include clean water, fresh air, rich soil, quality food, and biodiversity. The condition of our precious resources is the result of the diligent work that occurs in the collective processes found in plants, soil and the diversity of critters (such as insects, trees, birds, and wolves to name a few). Trees filter the air and water of impurities. Birds carry the seeds of plants to different locations. Insects breakdown leaves and other organic matter into small pieces. 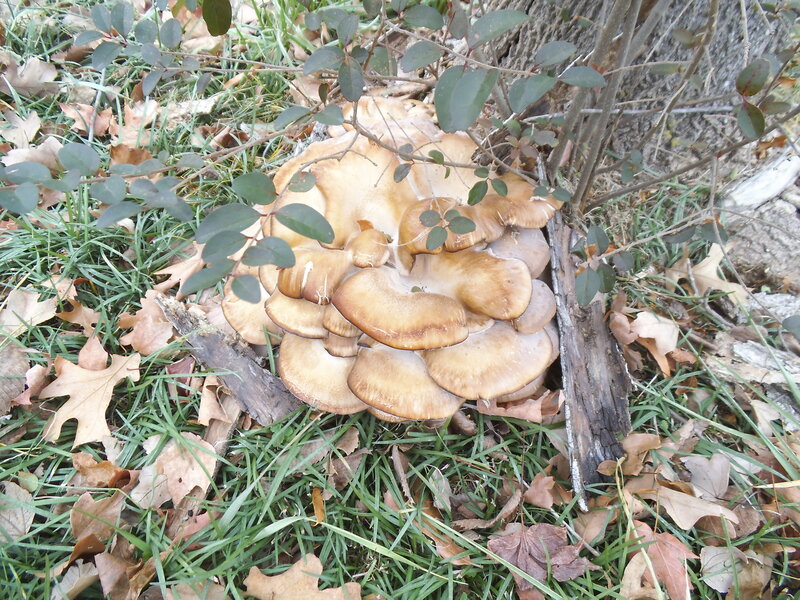 This results in an increase in surface area that aids in the decomposition service provided by fungi. Mushrooms are the fruiting bodies of fungi that form mutually beneficial relationships with plants. The plants are able to send chemical messages to their young’uns and other trees through the underground network of fungal hyphae. As you look upon a field of flowering plants on a warm spring day, you may be able to perceive the subtle orchestrated chemical communication system that occurs among the wildlife reported by Monica Gagliano and her team of researchers. Big businesses are paying attention to what is needed for them to provide quality products and services. Heather Clancy had some verifiable tidbits of information in her article “State of Green Business: Supply chain transparency ramps up”. McDonalds’ goal is to provide their customers with hamburgers made from verifiable sustainable beef by 2016. The apparel maker, Patagonia, has worked for over six years to develop a 100 percent traceable supply chain for sustainable products. The key is provide products and services that product the health of our environment and biodiversity, including people. England is very aware of the threat to their economy from the accumulation of pollution. More than 28,000 deaths are related to long-term exposure to air pollution reported by BBC News. A reinvestment plan called for by the Natural Capital Committee reports where ”improved air quality and greener cities would bring economic benefits”. An environment investment of about 250,000 hectares of woods planted near cities may generate $541.59 annually in benefits to the community reported by Roger Harrabin in his article “Decline of England’s natural environment ‘hits economy’. Will it not be easier to plant trees and other green life? The renewable energy from the sun powers the green chloroplast powerhouse supporting plants to purify your air, water, and enrich the soil. This economically efficient strategy is a reliable way to protect yourself from the consequences of increasing pollution impact to your health. You hold unimaginable power to recognize and act upon the incredible natural capital found in the environment where you live. You possess incredible power to engage your problem solving skills and form mutually beneficial relationships with the biodiverse wildlife that find refuge in your yard and community. You have the ability to enhance genetic biodiversity and amplify the benefits generously provided by the wild. The Millennium Ecosystems Assessment committee suggests you consciously blend your assets into the world’s bio-diverse gene pool to strengthen the resilient adaptive responses of the living to enhance planetary well-being. Gagliano, Monica, Michael Renton, Nili Duvdevani, Matthew Timmins, and Stefano Mancuso. 2012. Out of Sight but Not out of Mind: Alternative Means of Communication in Plants. Plosone.org. Vol.7:5.